How many of you know it’s National Chopsticks Day today? Yea, I didn’t either. But I live with a man who pays attention to such important celebrations, and he suggested we get Chinese for lunch so we could fully enter in. The go-to downtown Lucky Fortune (a.k.a Cheap Chinese) is now closed on Monday, so we headed to a new Japanese restaurant we’d yet to try, only blocks away. To answer your question: Yes, we actually do eat at home sometimes. 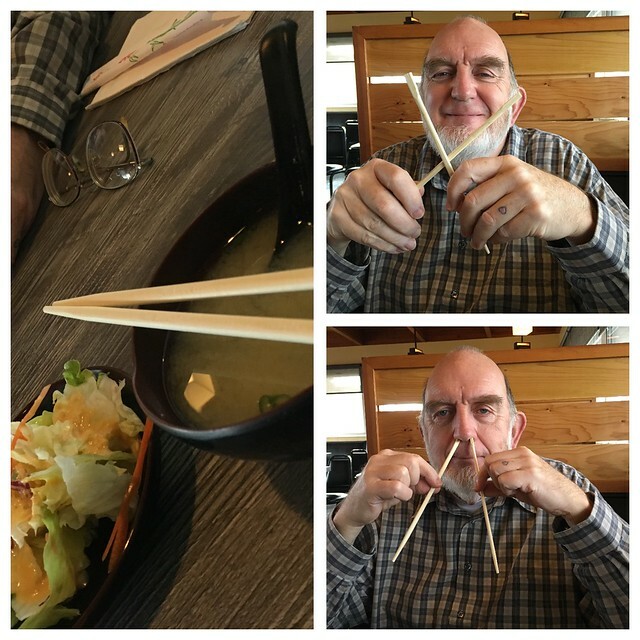 To answer your other question: Yes, we are both proficient with chopsticks. 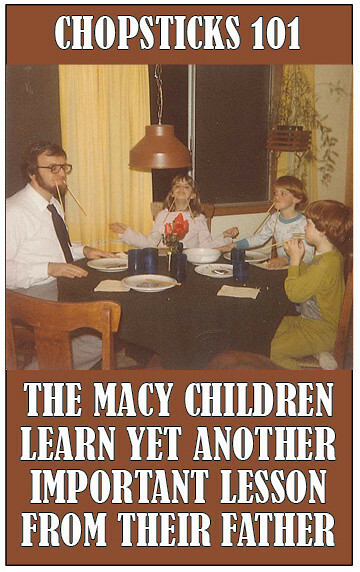 It’s a requirement to carry the name Macy.